Cerebral infarction is a kind of stroke that occurs when blood vessels that supply blood in a part of the brain are blocked. Cerebral infarction actually accounts for 80% of stroke cases worldwide, making it the most common type of stroke. Many of my friends lost their lives, too because of cerebral infarction. Why does this happen? Is it because of our modern lifestyle, or poor diet and irregular eating habits? A huge amount of blood clot may also form in the brain and the blood vessels may get clogged suddenly. Usually, small amounts of blood clot occur at a size of sesame seed or green peas. But do not be surprised if we see the patient's blood clot that is as big as a size of one whole earthworm or even bigger than that. Why do such large blood clot forms in the brain? Mostly, stroke cases like cerebral infarction occurs unknowingly at any point in time until you are sent to ICU. However, some factors that can cause this can be avoided, therefore, we strongly advise you to take precautionary measures. Diet, stress, overwork, lack of exercise, are some factors that lead to cerebral Infarction or stroke. Cerebral infarction usually occurs from the heart. Did you know that large blood clots usually form within the heart? The good news is that you can prevent it from happening in a week's time at least. Here, we can think of an instant remedy for you to avoid such shocking incident of cerebral infarction or stroke. Make it a habit to walk a bit faster than what you are used to. This brisk walking is a good workout. You can also jog slowly for 30 minutes at least every morning. It is as simple as that! 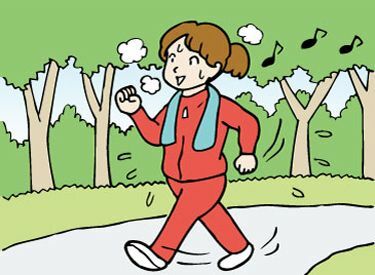 This simple walking exercise will help prevent the formation of platelets in your bloodstream. After two weeks, you may undergo a CT scan for you to know the results.